Tällä kertaa aiheeni ei ole hotellien esittely, vaan ennemminkin mukavuus. Itselleni pukeutumisessa mukavuutta tuo ennenkaikkea hyvät, sopivat ja istuvat kengät. Ja mitkä popot voisivat olla coolimmat talvella 2016 kuin Timberlandit. How do you know that you're getting old? When you are booking a hotel, you read reviews about the hotel breakfasts, haha. Long gone those days, when I just booked the cheapest possible hut that was available. But there is also a downside in these more expensive hotels with great breakfast. The high-rised block buildings often lack of character. When you stay there, you don't get the feeling that you are in a certain country or location, you might be anywhere in the world. Well, even I have become that much fancy-pants, that last time in Sri Lanka, I decided that no more bungalows for me. I'm way too old to be scared of frogs in my room. I'm not going to talk about different kind of hotels more than this, haha. When talking about comfortable dressing the first thing that I think is the shoes. They have to fit well, be comfy and soft for you feet. What would be more cooler boots during the winter 2016 than the Timberland boots! Aino on värikoordinoinut Timberlandinsa beigeen villakangastakkiin. Kengät tuovat kivaa rosoisuutta muuten klassiseen kokonaisuuteen. Aino has color coordinated her Timberland boots with the beige coat. The boots gives a nice rough tough for the classic combo. Minua viehättää suuresti, miten Victoria on yhdistänyt kapeasiluettisen mekon Timberlandin kenkiin. I love this look that Victoria is wearing. There is a cool balance with tight fitted rib sweater dress and the masculine Timerland boots! Alexan talvilookissa on kaikki kohdallaan, rennon tyylikästä! There is everything right in this Alexa's winter look, casual chic! Sara osoittaa, että Timberlandeista on moneen - jopa hienostuneen turkin pariksi. 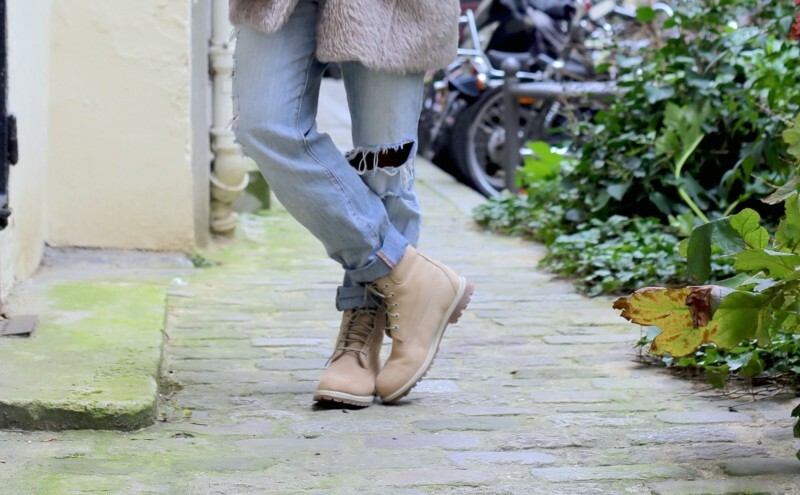 Sara shows us that you can pair up the Timberlands with anything - even with a sophisticated fur coat! Kenzan Timerlandit ovatkin sitten hieman haaleammassa värissä. Neutraalimpi väri on sopiva ujommankin yhdistelijän garderobiin. Kenza's Timerland boots have a little bit lighter shade of color. The color is great if you don't like to dress that loud.